Crooked Lane Books, 9781683313045, 304pp. After agreeing to stay in Lily Dale through the winter as caretakers of the Valley View Guesthouse and its feline residents, widowed mom Bella Jordan and her son Max are looking forward to the peaceful off-season after a hectic summer--that is, until the medium next door, Odelia Lauder, recruits Bella to host a destination wedding for the world's most petulant bride, Johneen Maynard, a friend of Odelia's granddaughter. Things take an even more stressful turn as the wedding day looms amidst an October blizzard, when suddenly the Spirits start giving Odelia a major heads-up that the bride might be fated for death. And if there's any truth to her premonitions, the wedding is off--and that's the least of their problems. It's a race to figure out who would want to kill Johneen before her attacker has a chance to strike in Something Buried, Something Blue. 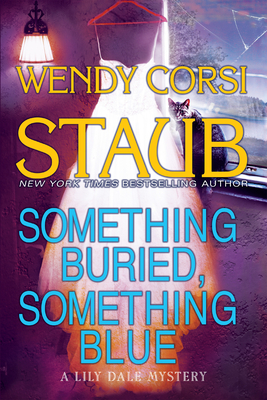 New York Times and USA Today bestseller Wendy Corsi Staub is the award-winning author of more than eighty novels and has twice been nominated for the Mary Higgins Clark Award. She lives in the New York City suburbs with her husband, their two sons, and a rescued stray cat named Chance. This is her second Lily Dale mystery after Nine Lives.